The Toyota C-HR. Hiroyuki Koba, general manager of the C-HR, says its polarizing design is key to Toyota's love-it-or-leave-it formula for turning heads and breaking the brand's reputation for boring cars. Toyota was late to the subcompact crossover party, but it wants to take a big bite out of the segment with the bold design and driving dynamics of its in-your-face C-HR. Toyota’s entry, which went on sale in Japan on Wednesday, aims to conquest more than the average 20 per cent new-to-Toyota customer ratio achieved by its nameplates, Koba said. The new vehicle will be available to Canadians in the spring and will come in two grades at launch, XLE and XLE Premium. Pricing has not yet been announced. Toyota expects to sell 170,000 C-HRs a year globally, though Koba declined to give a breakdown for specific markets. 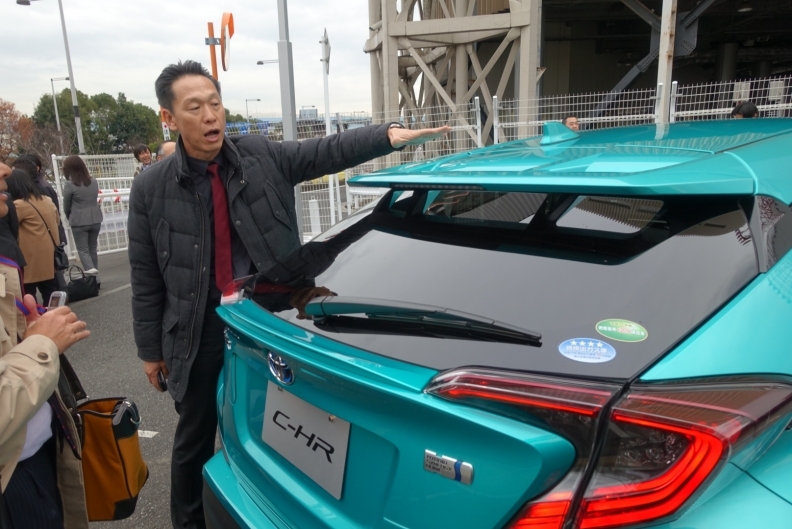 The vehicle hits the United States in the spring as well and will be sourced from Toyota’s plant in Turkey, which is expected to churn out 100,000 units a year. The C-HR goes up against early entrants in the subcompact crossover segment, such as the Honda HR-V, Nissan Juke and Subaru Crosstrek. However, Koba said the C-HR’s responsive handling puts it more in the league of the Ford Focus and Volkswagen Golf. 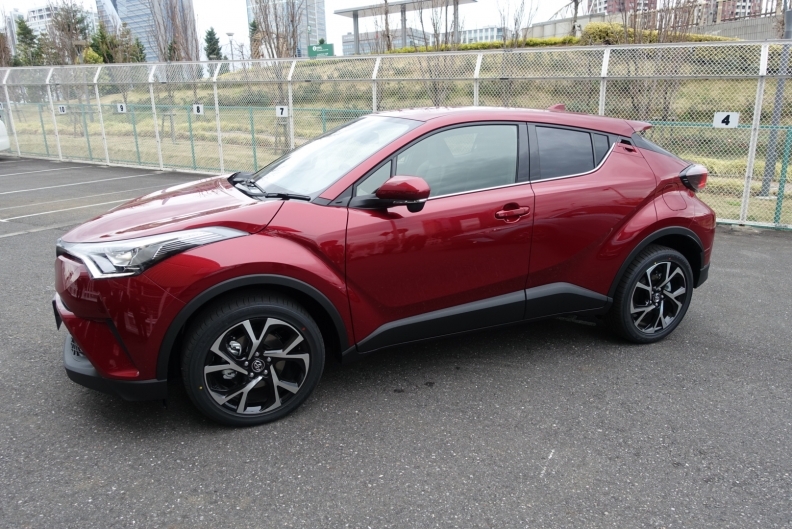 Indeed, the Japanese carmaker undertook early development of the C-HR in Europe to better tune its driving dynamics to Europe’s winding roads and high-speed highways. North America won’t get the hybrid for two reasons, Koba said. The first is that cheap gasoline prices make fuel-efficient hybrids a harder sell. The other is that the C-HR was initially planned as an offering for the now defunct, youth-oriented Scion brand, and a hybrid was deemed too pricey.